Volume 1 presents the band JUD'S GALLERY from Offenburg (South-West Germany). 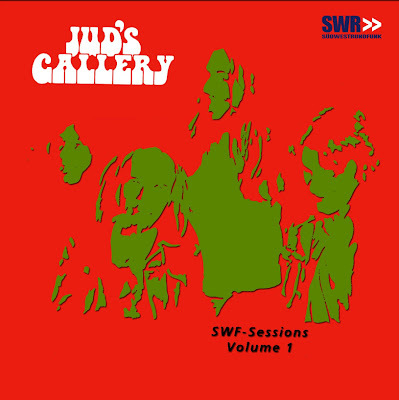 JUD'S GALLERY recorded 9 songs over two SWF sessions (28.07.1972 an 29.03.1974). These songs have been digitally remastered from the original tapes to perfect studio quality. JUD'S GALLERY were formed in 1971 by Jürgen "Judy" Winter. The only other founding member at the sessions was Peter Oehler who had been playing with Judy in other guises before. These two enthusiastic perfectionists were accompanied for the first session by Hannes Gremminger, Herbert Brandmeyer and singer Elly Lapp who left the band shortly afterwards. SWF presenter Hans-Jürgen Kiebenstein was instrumental in inviting the band to Studio U 1 in Baden-Baden for a session without any overdubbing or re-recording, no easy task for a band who's average age was at the time a mere 21. The sessions opened up a hitherto unknown world for JUD'S GALLERY of concerts outside of their native Offenbach and surrounding area. Support slots with internationally renowned bands such as Steamhammer, Pretty things, Beggar's Opera, Ekseption and Alexis Korner followed and also a German tour with Golden Earring. After this JUD'S GALLERY were ready for their own headlining tour including Festivals and gigs in and around the French border. At a festival in southern Germany the band was approached by Roland Schaeffer (Fashion Pink, Brainstorm, Guru Guru) who was working as a producer for SWF at the time. He invited the band for their second SWF session. The band recorded 4 songs, including the 12 minute version of Nordrach, with the line-up of Jürgen "Judy" Winter, Peter Oehler, Clem Winterhalter and Sibi Siebert. After this session it was only a question of time before Jud's Gallery released an LP. Contacts to Achim Reichel's label "Gorilla Music" were made and shortly before they went into a studio the band broke up due to economic hardship and musical differences. Despite this and thanks to the excellent radio sessions we can relive a fantastic time of enthusiasm and hope from this brilliant band that deserved more at the time.